Entry for this match running inside the World Pairs is optional at £140 per angler (sterling GBP only please). Full pay-out on the entry fees with no hidden costs. ​Cash prizes will be paid by section and the top two in each county section daily, aside from the overall winners. What's more, the top winning individuals will receive tackle vouchers to be used on items of their choice. 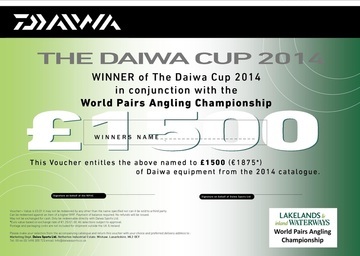 DAIWA are contributing £6,500 worth of vouchers to supplement the cash prizes for the top ten individuals. 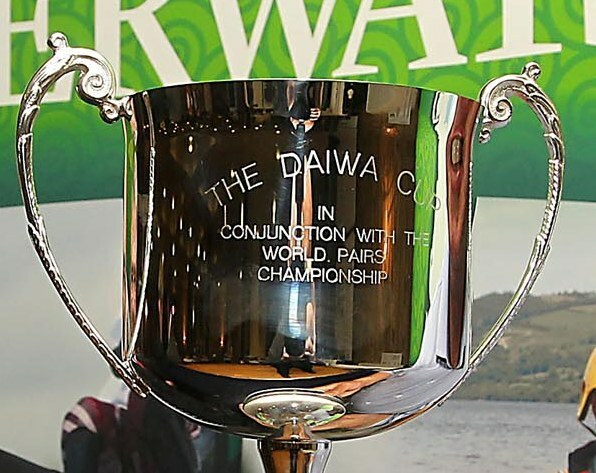 The winner of the DAIWA cup will receive a mighty voucher for £1500 down to the tenth placed individual who will receive a voucher to the value of £300! The vouchers can be used to purchase tackle items of your choice from the current product brochure and redeemed with DaiwaSports Direct in the UK.